Getting a CDL in Texas can open a lot of doors for you. Most CDL drivers are well paid. There are generally on the road (long haul) opportunities and local opportunities. However, there are some things that you will need to do before you can start driving as a commercial driver. First, you will need to decide which type of driver you would like to be. There are various types of drivers from bus drivers all the way to tractor-trailer drivers. In the case of bus drivers, material moving machine operators, and heavy equipment operators typically only require short term on the job training, although you will likely still need to attend school to learn how to safely operate these vehicles and pass your Texas state CDL exam to get your license. Others such as tractor-trailer operators require you to attend classes, as well as receive on the job training. One thing is for certain they all require you to have a high school diploma or a GED. Bus drivers should expect to have a two to three months of training. Part of their training is spent driving. You will learn how to maneuver the large vehicle. Towards the end of your training, you will be making scheduled stops and even picking up passengers while under the supervision of an experienced driver. This driver will assist you by giving you tips, answering any questions, and evaluating your performance while driving. Eventually, you will need to take the state exam to receive your CDL to drive on your own. Delivery truck drivers may include driver training from a driver-mentor. A driver-mentor is someone who rides along with the new driver to ensure the new driver is capable of operating the vehicle safely. New drivers will also have to learn the company’s policies and procedures about package pick-up and drop off, and in the worst case scenario what to do with damaged goods. Depending on the size of the delivery vehicle, you may need to pass the CDL exam. Heavy equipment operators will need to be fast learners since the typical training for this job is only a month, if not shorter. Some of the more complex machines, such as cranes, dredges, and other excavating equipment will definitely require longer training time. Because of the size of these vehicles, your employer may require you to have your CDL. However, construction is a great job opportunity. Tractor-trailer operators are required by most companies to attend a professional truck driving school. At this school, new drivers will learn the federal laws and regulations governing interstate truck driving. Drivers will learn to maneuver the large vehicle on highways and through crowded streets. Important qualities for all of these commercial driving fields include things like customer service because all of the drivers have to interact with customers and sometimes even company owners. Bus drivers have to interact with passengers every day. It is prudent to be courteous and helpful when dealing with customers. Hand-eye coordination is extremely important. A driver will have coordinate their hand, eye, and leg movement so that they can react appropriately to any given situation. While operating heavy machinery, you will need this coordination to control the machinery precisely. This is sometimes done in tight spaces, around large objects, and on uneven surfaces. Math skills are typically used by delivery drivers due to the fact that they sometimes take payments from customers and will need to make change quickly and accurately. Physical health is important to any driver. Federal and state governments do not allow bus drivers and tractor-trailer drivers to have a medical condition that may interfere with their operation of the vehicle. A full list of all medical conditions that may prevent a person from proceeding to get a CDL is available from the Federal Motor Carrier Safety Administration. A bus driver’s work environment is mentally and physically strenuous due to driving through high traffic areas, bad weather, and dealing with unruly passengers. All of this can be wearing on a driver and cause major distractions. Most injuries at work are due to highway accidents. The drivers work schedule may require them work nights, weekends, and early mornings. Hours may be limited, such as the case with school bus drivers. The heavy equipment operator’s work environment is varied due to the fact that many work indoors and outdoors. The indoor operators can expect a continuous need to watch their surroundings for other employees. Many work full-time and often have overtime opportunities. This is because materials are being shipped around the clock so some operators work overnight shift. Outdoor operators will have to deal with the weather. Crane operators work in great heights in all types of weather. Many cannot work on days when it is raining and sometimes even the next day or two after due to the ground being far too wet to move heavy equipment on. Many of these workers wear gloves, hardhats, and respirators. Most of these employees work full-time with copious amounts of over-time. In some states you may even be required to work nights on highways in order to provide the drivers with more safety due to less traffic. Dredge operators can expect the same working conditions as crane operators, aside from their field of operation shall be on waterways, such as rivers, canals, and lakes. Delivery truck drivers have a physically demanding job. The driver is also responsible for loading and unloading of the freight. The driver is required to drive through congestion of busy traffic and is expected to adhere to a strict delivery schedule. These drivers are also full-time workers, and work many additional hours. The schedule is sometimes early in the morning until late at night. They also work weekends and holidays to keep up with demand. Holidays will be a must for many drivers especially around the giving seasons of Christmas, New Year’s Eve, and other holidays. 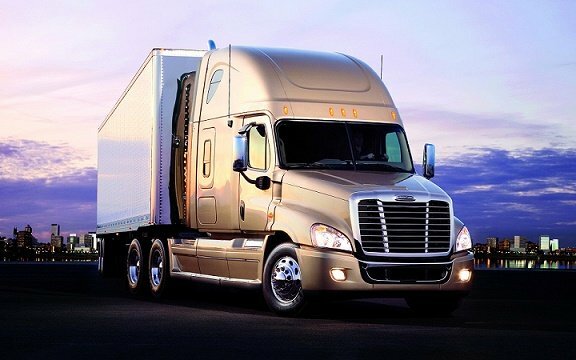 A tractor- trailer operator, as it pertains to long haul driving, is a major lifestyle choice. The driver will be away from home for days, weeks, or sometimes months at a time. You will spend much of your time alone even if you drive as a team driver; a team driver is someone who drives with another driver. Team driving occurs when one person sleeps while the other one drives. This still equals to a lot of alone time since your partner is going to be unavailable while you are driving during your shift. With both types of driving, you will be driving many hours straight and this can be tiring. Sometimes drivers must load and unload their own cargo. Major job related injuries are due to traffic accidents. Tractor-trailer drivers have one of the highest rates of injuries and illnesses of all occupations. Work schedules while on the road cannot exceed 14 straight hours of driving, consisting of 11 hours spent driving and the other time spent doing other work such as filling out logbooks and loading and unloading freight. You can do 14 hour shifts for 7 to 8 days. Within 8 days, the driver must take 34 hours off before starting another 7 or 8 day run. The work schedule for a CDL driver varies. You may have to work days, switch to nights, and then evenings. If you are already on the road, then you can expect to work weekends and most holidays. Bus drivers are expected to have a 7% growth over the next ten years. This is due to the increase of school-age children and the public transportation system growing throughout the nation. The growing number of people moving to metropolitan areas is a large contributor to this increase in need for public and school bus transportation. For school bus drivers, the irregular schedule is a major factor in the high turnover rate for this occupation. Heavy equipment operators have some of the lowest in growth for CDL drivers, only having a 3% increase over the next ten years. This is largely in part to in warehouse use of robotic pickers instead of heavy equipment and operators. This trend of slow growth will not affect the outdoor operators who use excavating equipment. It is expected to increase by 6%. Crane operators will see about 8% growth due to the need to load and unload large cargo ships. Tower cranes will be driven by the construction industry and will see an 11% growth rate. Dredge operators can expect 9% growth in their field due to dredging various waterways in order to improve waterway traffic. Delivery truck drivers in Texas should expect a growth of 4% in the next decade. While this may be lower than the national average, it will grow alongside the e-commerce sector. However, improved routing with GPS makes existing delivery trucks more productive. While a subsection of delivery driving, restaurant delivery will increase 5% over the next ten years. Job opportunities for delivery drivers are expected to become more competitive. Because drivers do not have to spend long periods of time away from home, this job tends to be more desirable than long haul driving. Tractor-trailer drivers can reasonably expect a projected 5% growth in Texas over the next ten years, which is average for all occupations. The economy is dependent on this driver to transport freight and keep supplies moving. Advancements in technology are making this profession safer for the driver and others on the road. Companies are looking for newer trucks that are more fuel efficient and easier to drive, such as trucks with automatic transmissions, blind-spot monitoring, and a variable cruise control. The need for drivers is expected to stay high in the oil and gas industry as more drivers are needed to transport equipment to extraction sites or dig sites. Of all the CDL driving professions, this one has the most estimated growth and has the longest running growth over most other fields for a CDL. This is primarily due to the need for supplies across the country regardless of what the economy is doing. This provides drivers with a better sense of stability. Things you will need to consider before getting your CDL are things like do you have a clean driving record? Do you have any major health conditions? These are the two major questions you need to ask yourself before you pursue a career requiring a CDL. For tractor-trailer drivers, things like hazardous material endorsements, multiple trailers, tank vehicles (such as oil tankers and diary tankers), as well as hazardous/tank combination. According to the Bureau of Labor Statistics, bus drivers for transit and intercity transport should reasonably expect a median wage of $38,290 per year as of May 2015. School bus driver can reasonable expect $29,490 per year as of May 2015. This discrepancy is due to the work schedule is only while school is in session. Heavy equipment operator has a median wage of $33,640 in May 2015. Now this is considering all fields that you could possibly work in. Take crane operators, for example, have a yearly median wage of $51,650. Convoy operators only have a median wage of $32,050 per year. The huge variance between the top earning and lowest earning heavy equipment operators is notable, and should be looked at when considering a career in any of these sub fields. Dredge operators can expect a median wage of $40,060. This is in the upper portion of the median wage for heavy equipment operators. Delivery drivers have a median wage of $22,450 as of statistical data from May of 2015 as provided by the Bureau of Labor. This may seem low, but with this profession it is important to notice that the top 10% earned $60,350. With this profession your performance is key to earning more money, as is your workload. Tractor-trailer drivers can expect a median wage of $40,260 per year, with the top 10 percent earning around $62,010. Every driver is paid by how many miles they drive in their shift, plus many receive bonuses. Per-mile rate may vary from employer to employer on the type of cargo and experience of the driver. Some owner-operators are paid a share of the revenue from shipping. This can greatly increase one’s wage over a year. That along with 7 and 8 day runs on the run also can help to increase the driver’s pay.